How to draw Manga Izumo Blue Exorcist. How to draw Manga, Izumo Kamiki from Blue Exorcist. This video shows you how to draw Anime character Izumo. I will also show you how to draw her hair style. Learn how to draw Anime from video tutorial and step by step images easy to follow. This should be easy for every artist to follow. If it is a bit too fast for you, press pause. Then you can keep drawing along. You will find video tutorial on the top. You can scroll down further to see step by step images with instruction. 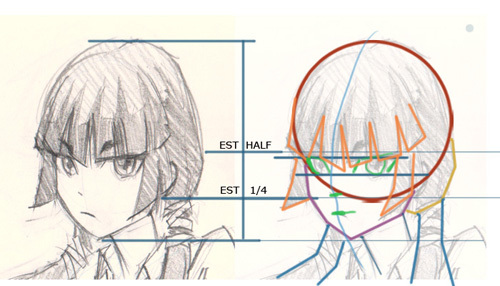 Learn the basic drawing technique and foundation that can be applied to drawing Manga, Anime, and comics. First you have to simplify the subject into basic shapes. You can do it by looking at the subject and analyze it, then break it down into simple geometric shapes. Think about what part of the face or body could be simplify into a more simple design then you draw the simple shapes as a foundation. Once you have a foundation, then you can go over it with more organic or curvy line over the simplify form. It is a lot easier and less intimidate way to start. Good luck and hope this Manga drawing video tutorial and step by step drawing images help you. Below are drawing and sketching anime technique for manga, cartoon and comics. Learn to draw with tips from a professional concept artist and illustrator Xia Taptara. I hope you enjoy the tutorial, how to draw Manga Izumo Blue Exorcist. How to draw Izumo from Blue Exorcist. Below are step by step Manga drawing images guide to follow along with the video instruction. 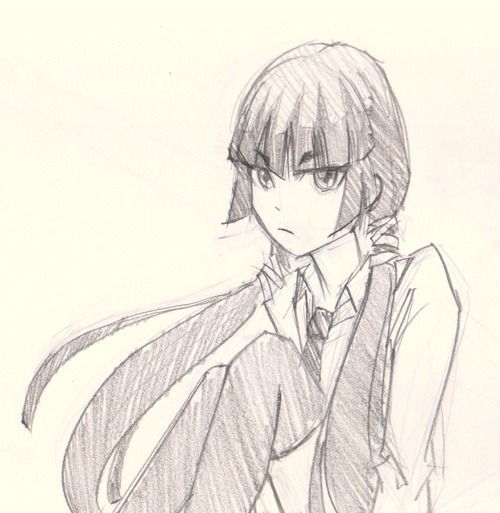 Here is a final Manga drawing of Izumo Kamiki from Blue Exorcist.